If cleaning an oven seems like a tiresome activity to you, save your troubles and contact the cleaning company in Wandsworth that understands your needs best. We can take care of your oven whenever you wish and this is not going to ruin your budget. Except for a reliable cleaning solution, we will give you also loyal attitude and personal attention. You can trust us because we have the required expertise and knowledge to clean deeply all kind of ovens. Hundreds of people tried our dip tank oven cleaning and it proves to satisfy the needs of our clients completely. Our main priority is to deliver a service of value to each customer, therefore, we pay special attention to every request. We are able to clean your oven by the method of dip tank. This way of cleaning removes absolutely all food and grime deposits and doesn’t involve any chemical cleaning materials. Our technician will first inspect the condition of the oven and then strip it out. After that, he will clean diligently every component and when everything is dry, assemble the oven again. For your assurance, the technician will check whether the appliance is working properly after the cleaning. Don’t loose any time shopping around and let us send you your trusted oven technician. What we have for you is a service of high quality, flexible schedule and moderate prices. We know that you want to get good value for your money and we won’t disappoint you. We owe our success to the diligent and skilful cleaning experts, who work with us from the beginning. Have no doubts in their abilities because they are fully trained and supplied with the newest cleaning equipment, which allows them to deliver an exceptional level of cleanliness every time. Our company is always at your disposal in Wandsworth when you need a qualified cleaner to take care of your neglected oven. We have enough of them and will send one to your address right away. 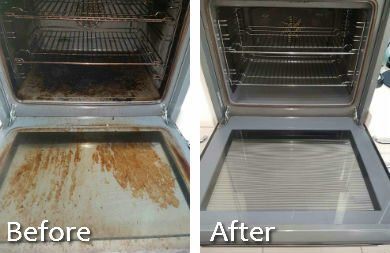 For any further information about our oven cleaning feel free to contact our support centre.